This report covers a number of UAV topics, including the news of another U.S. Federal Aviation Administration (FAA) program to advance drone integration in the U.S. National Airspace System (NAS); an initial effort towards Type Certification for a larger UAV/UAS; cautious steps to protect U.S. Navy and Coast Guard ships from unwanted drone overflight; and what would appear to be a surge in the number of acquisitions across the industry. So it’s perhaps more about getting organizations at the local level into the picture, and fostering cooperation with national interests. But, at the same time, pilot projects will feed knowledge into the hopper of how to get UAVs into the U.S. NAS. Operational concepts to be investigated include night operations, flights over people, flights beyond visual line of sight, package delivery trails, testing detect-and-avoid technologies and verifying the reliability and security of UAS data links. Along the same lines, Insitu is working with FAA staff towards certification of the commercial ScanEagle3 drone system to enable flights in U.S. controlled airspace. A recent three-day Type Certification Board meeting held between FAA and Insitu included launch-to-capture flight tests, plus review of applicable standards, flight training and technical publications and manuals to determine Insitu’s basis for the proposed UAS Type Certification of the ScanEagle3 in 2019. Once an aircraft or UAS gains Type Certification, it should be possible to fly that model on a regular basis, without the need for special FAA authorization of individual operations, as is currently the requirement for drones — other than for small UAS (sUAS), which already have FAA approved operational regulations. This effort could also clear the way for certification of larger drones to regularly operate in the NAS. Filing a flight plan with local FAA controllers prior to each flight would then typically be required, as is standard for all manned aircraft. At the recent review meeting with FAA team members from various certification groups, Insitu discussed its internal culture of safety, which is in line with the FAA’s extremely strict safety standards. The design and technology of ScanEagle3 was demonstrated, and the maturity of Insitu as an aircraft manufacturer was emphasized. The FAA teams participated in an overview of Insitu’s Project Plan for Certification, examining Insitu’s detect-and-avoid (DAA) capability planning, safety management system and model-based engineering processes. Insitu is hopeful that Type Certification will enable ScanEagle3 to be applied quickly to all types of operation, which could include data collection, analysis and delivery; aerial infrastructure survey; disaster recovery; and wildfire suppression – without the delay currently associated with seeking permits and overcoming temporary flight restrictions. Meanwhile, the FAA flexed its legal muscles to restrict drone flights near U.S. Navy (USN), U.S. Coast Guard (USCG) and Department of Energy (DoE) facilities and assets. Growing concerns with potential malicious drone flights over sensitive, high-priority facilities and ships apparently prompted the FAA to issue two NOTAMs (Notice to Airmen). The first notification describes the locations and the assets – in this case, ships operating from two bases — and includes the form of restrictions that are being applied. Drone flights have been restricted around USN and USCG vessels operating near Naval Base Kitsap in Washington state and Naval Submarine Base Kings Bay in Georgia. 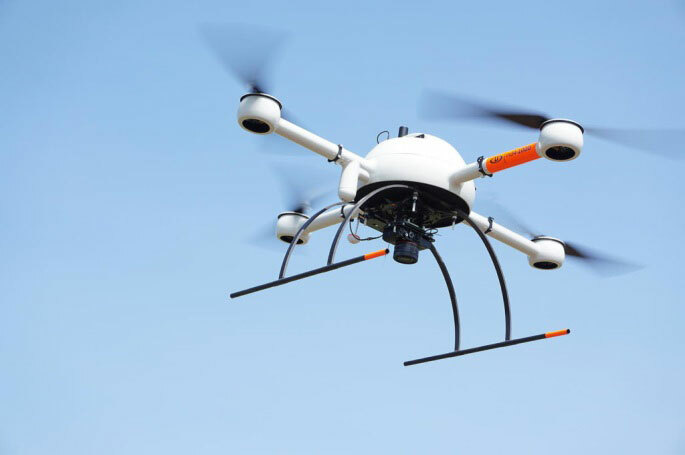 Drones are not allowed to get closer than 3,000 feet laterally and 1,000 feet vertically from vessels. And the NOTAMs carry the dire warning that these ships have the authorization and ability to take whatever action they feel necessary to protect themselves from such threats. In other words, if the nut-case flying an unwelcome drone penetrates the restricted area around a Navy or Coast Guard ship, the target ship might well take out the unwanted drone. And the FAA may also pursue civil penalties and/or criminal charges against the operator for disobeying the restrictive notice. The second NOTAM warns drone flyers to remain clear of all national Department of Defense (DoD) and DoE facilities and mobile assets, as well as USCG vessels. With UAVs carrying explosive devices becoming more common in areas of conflict or political unrest (in Venezuela, for instance), it’s not surprising that U.S. DoD is concerned this could soon start to happen closer to home. Finally, following a letter of intent from Textron Systems to buy Howe & Howe Technologies a land mobile robotics defense outfit, drone industry consolidation also seems to be gaining momentum. Howe & Howe’s land vehicles are built and proven for extreme environmental conditions, and U.S. government customers have selected Howe & Howe’s small, highly mobile Ripsaw Super Tank for its speed, mobility and off-road performance, while the RS2-H1 SMET was down-selected to compete to be the U.S. Army’s first platoon load-carrying robot, after completing a 60-mile test through swamp and jungle terrains. Textron Systems continues to position itself as a global leader in autonomy applications in air, land and sea. In addition, Delair has just announced an agreement to acquire the key assets of Airware — a developer of software analytics tools for data collected by drones. 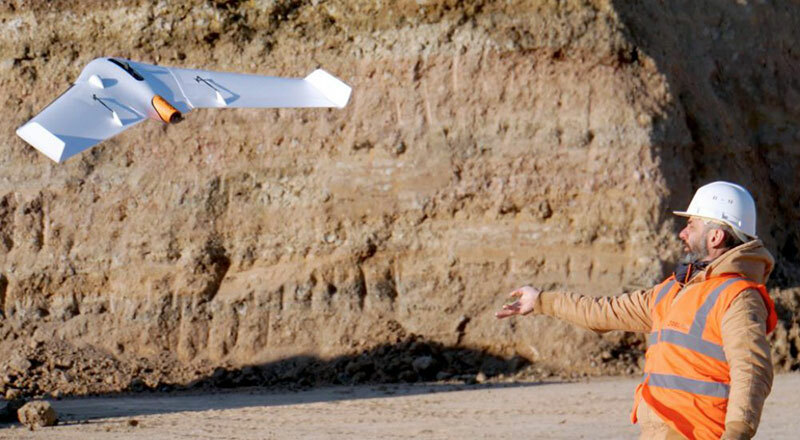 The acquisition quickens Delair’s growth and increases options for the commercial UAV market. Delair provides end-to-end solutions, including fixed-wing drones, cloud-based data processing and analysis, local customer support and custom consulting services. The acquisition is through an asset purchase of Airware’s technology, including proven software, related personnel in Paris, existing customer relations and established distribution channels. Airware’s data management and data analysis tools will be highly complementary with Delair’s existing solutions and will also expand Delair’s U.S. market presence, providing access to additional key industrial markets. Airware, based in California, has provided a cloud-based software solution to large companies in the construction, mining and insurance industries. Its software solution was developed with support from Caterpillar and has been distributed by Caterpillar dealers to more than 50 countries to improve the productivity and safety in mines, quarries and construction sites. Delair, with more than 180 employees worldwide, has customers in a number of industries including mining, construction, energy, utilities, oil and gas, transportation and security. PrecisionHawk has also announced the purchase of Uplift Data Partners, which provides turnkey inspection services for construction, building information management (BIM) and real-estate. This is PrecisionHawk’s fifth acquisition during 2018 — earlier acquisitions have included Droners.io, Airvid, HAZON and InspecTools. These acquisitions have created dynamic synergy, and provided enhanced airborne intelligence with strengthened data value for PrecisionHawk. Uplift’s commercially trained drone pilots will join PrecisionHawk’s network of more than 15,000 drone pilots, one of the largest networks of its kind. Suzanne El-Moursi, CEO of Uplift, will join PrecisionHawk’s executive team and will manage the company’s construction business. The intent is for customers to receive best-in-class aerial data and analytics for complex construction and facility inspection projects, through combined PrecisionHawk’s advanced products and services, and Uplift’s industry experience and training standards. Uplift Data Partners has been an integrated subsidiary of Clayco, an architecture, engineering, design-build and construction firm, with more than $2 billion in annual revenue. Following the spin-off, Clayco will still source its construction projects exclusively to PrecisionHawk, and will support PrecisionHawk’s board of advisors. 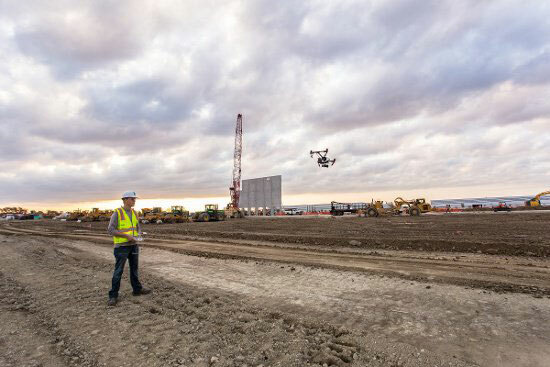 The construction industry has rapidly adopted commercial drone technology — transforming construction processes by decreasing the need for protracted visual inspections, shortening planning time, improving worker safety and quickly identifying problems. 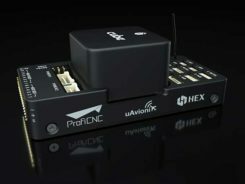 And finally — Microdrones, a provider of professional UAV solutions, has announced that it has acquired geomatics service provider Navmatica Middle East (ME) with an office and team in Dubai, UAE. Navmatica ME supplies services and custom software development for geodetic positioning, airborne mapping, mobile mapping and indoor mapping. 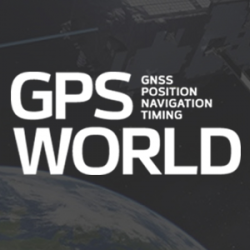 The acquisition establishes a foothold in the Middle East market for commercial drones, and adds an experienced team of geomatics engineering specialists, software developers and systems engineers who have a proven track record of providing customers with high-quality geomatics services and technology. We have FAA efforts to move further forward with UAV integration with its IPP program, first steps down the lengthy and somewhat arduous path towards the certification of larger UAVs to enable less restrictive flight in the U.S. NAS, notifications to operators to improve protection of Navy and Coast Guard ships from unwanted overflight and potential drone attack, and plenty of signs of drone service and manufacturer business consolidation — lots of what we may think of as positive indications of greater maturity and progress for the UAV industry.